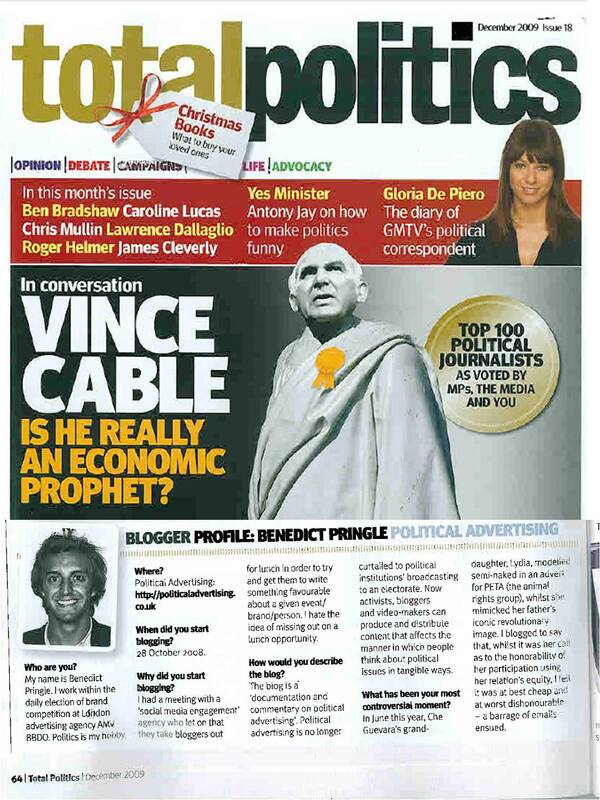 Total Politics magazine very kindly asked me to feature in their ‘blogger profile’ section of this month’s edition. You can read my answers to their question with greater clarity here. Needless to say, I’ve left issues of the magazine (with the correct page folded at the corner) in every toilet cubicle in the office.